On Thursday, April 10, 2014 Ladies Night Chicago and Shari Duffy Events presented “Diamonds are a Girls Best Friend” at Fey & Co Jewelers! My friend and a Strong, Empowered, & Classy Project Highlight, Katlin Schneider and I had an amazing time indulging in all of the vegan treats, healthy smoothies, and wine served by the local vendors, all while surrounded in diamonds and fur coats!! Oh what a night! 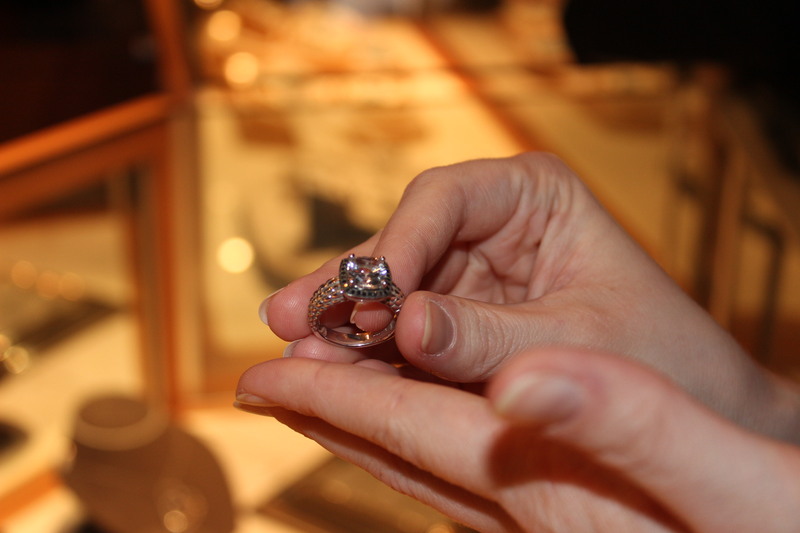 They also raffled off three diamond pieces, a set of diamond earrings, a diamond necklace, and a diamond ring. Katlin and I were thinking positive! Out of all those women in attendance we just knew one of us were walking out with a diamond! The power of speaking it into existence is so abundant that my friend, Katlin Schneider came away with a huge diamond ring with little black diamonds circling it! Let this be a lesson to anyone I ever randomly send an email too saying, “We should go to this event!”, you might just win a diamond ring! lol Definitely #upgradingmyself this year! I’m so happy for you Katlin! When you first tried it on, we knew that it was meant to be! I just love being a good luck charm and finding out that my goodie bag was worth way more than my ticket to the event, which included a $50 – $100 gift certificate to Fey & Co. Check out the pictures that I captured now and never ever miss a Shari Duffy Event!